Elizabeth Middleton Burke uses the law and science to help people injured by pharmaceutical drugs, medical devices and other medical errors. Burke proudly advocates on behalf of consumers who rely on the pharmaceutical industry for safe and effective treatments. As a member of RPWB’s pharmaceutical and medical device team, she enjoys the challenge of investigating, organizing and litigating science-based cases for the benefit of clients who were not warned about the serious side effects they experienced. She was born in Hartsville, South Carolina, and grew up in Lake City. As an undergrad, Burke was preparing for medical school when she decided her academic strengths were better suited for law school. She clerked for the Hon. Paula H. Thomas before beginning her career in pharmaceutical litigation at Suggs & Kelly in Columbia. She joined RPWB in 2003. Many of the cases Burke works are on behalf of female patients who have been seriously injured by prescription medication. Pharmaceutical cases are inherently complicated and involve defendants with tremendous resources at their disposal. Burke has successfully stood up to the world’s largest corporations on behalf of consumers throughout the country. In addition to pharmaceutical cases, Burke also accepts medical device, medical malpractice and catastrophic personal injury cases. Burke is married and has a daughter. 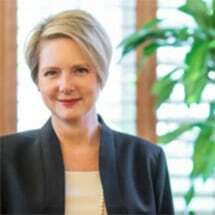 She is active with the Southern Trial Lawyers Association as well as the College of Charleston Alumni Association and Past Presidents Association. She is a parishioner of The Church of the Holy Cross on Sullivan’s Island and enjoys going to the beach as often as possible.